This workshop will explore the relationship between form and content and demonstrate how, in finding the form, we find the poem itself. Examples of writers’ drafts will be discussed and compared with final versions, and participants will experiment with different ways of shaping their own poems, whether in formal or free verse. 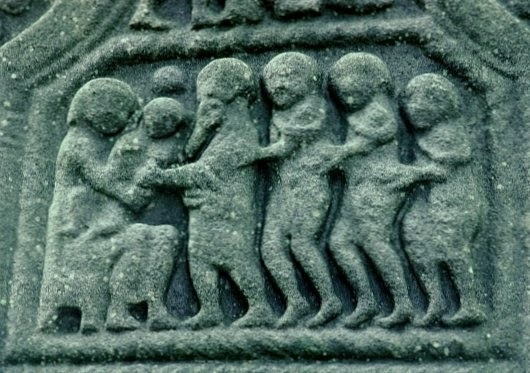 Elements of rhyme, metre and stanzaic forms will be touched on, as well as styles of lineation in free verse. Mimi Khalvati was born in Tehran, Iran. She grew up on the Isle of Wight, where she attended boarding school from the age of six, and has lived most of her life in England. 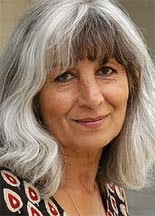 She has published seven collections of poetry with Carcanet Press, including The Meanest Flower, a Poetry Book Society Recommendation, a Financial Times Book of the Year, and shortlisted for the TS Eliot Prize and, most recently, Child: New and Selected Poems 1991-2011, a Poetry Book Society Special Commendation. Prerequisite: two poetry publications in established outlets. Not suitable for beginners. Wilton Hotel, Southern Cross Road, Bray, Co. Wicklow – ample free parking. ALSO AVAILABLE: Tutorials: Following the workshop on Sunday afternoon, a very small number of half-hour one-to-one tutorials are available, to discuss some of your work. Tutorials cost €50, booked along with the workshop. The 2014 Strokestown International Poetry Festival is taking place this year from 2 - 4 May. The closing date for competition entries is Friday 28 February. The 2014 Strokestown International Poetry Award, for poems in English on any subject not exceeding 70 lines is being judged by poets Paddy Bushe and Neil Astley, with a first prize fund of €2000. The Percy French Award for Comic Verse will be judged by the Strokestown Wit Committee. The emphasis this year will be very much on fun and the judges will be looking out for comic and witty verse for which a prize fund of €1,000 is being offered. The entry fee per poem is €5 euro/ £5 sterling/ $5 US dollars and you can enter online or by post. Shortlisted poets will be invited to read their work at the festival. Please visit www.strokestownpoetry.org for further details. 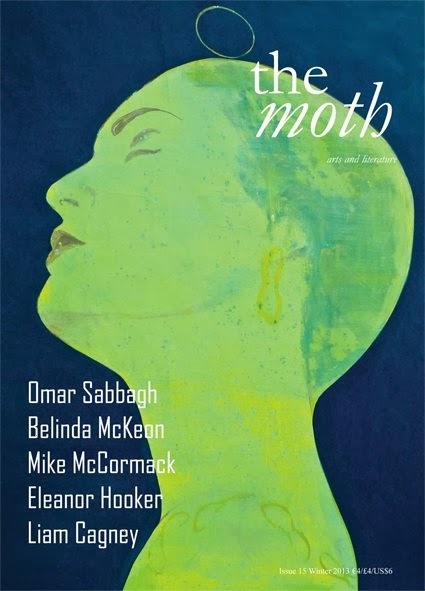 Details of this year's Moth Short Story Prize have just been announced. First and second prizes are €3,000 and €1,000 and the third prize is a week-long writing retreat at Circle of Misse in France (to include €250 travel expenses). The Prize is open to everyone, as long as the work is original and previously unpublished. There is a 6,000 word limit. The entry fee is €9 per story and you can enter as many stories as you like. You can enter online or simply send your story or stories along with a cheque or postal order made payable to The Moth Magazine Ltd. and an entry form or a cover letter with your name and contact details and the title of story attached to: The Moth, 81 Church Street, Cavan, Co. Cavan, Ireland. This year’s competition will be judged by Mike McCormack, a recipient of the Rooney Prize for Irish Literature whose debut short story collection was a New York Times Notable Book of the Year. His novel Notes from a Coma was shortlisted for the Irish Book of the Year Award and was described in the Irish Times as ‘the greatest Irish novel of the decade just ended’. Closing date is 30 June 2014 so you have plenty of time to write those six thousand words. Full details on the Moth website. Labels: Moth short story competition; Mike McCormack. 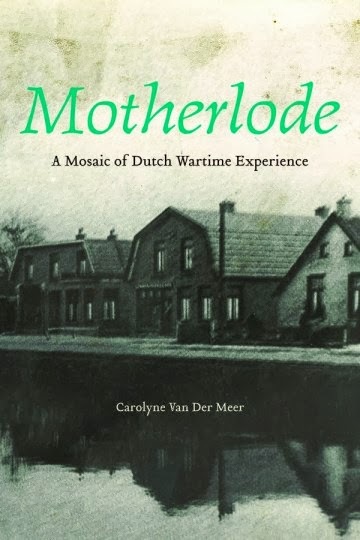 Wilfrid Laurier University Press is pleased to announce the publication of Motherlode: A Mosaic of Dutch Wartime Experience, by Carolyne Van Der Meer. Carolyne has contributed poetry and fiction to a number of Irish publications, including the WOW Anthology, Boyne Berries, Poetry Bus, The Stony Thursday Book, Crannóg etc. Motherlode is Carolyne Van Der Meer's creative reinterpretation through short stories, poems, and essays of the experiences of her mother and other individuals who spent their childhood in Nazi-occupied Holland or were deeply affected by wartime in Holland. The book documents the author's personal journey as she uncovers her mother's past through their correspondence and discussion and through research in the Netherlands. Motherlode also considers mother-daughter relationships and the effect of wartime on motherhood. "Motherlode is Carolyne Van Der Meer's Orphic journey to reclaim the past of her mother, a child during the five years of Nazi occupation of the Netherlands. The mosaic of poetry, fiction, and reminiscence is her Dodenherdenking, a remembrance of the dead, but also her immersion in the Lake of Memory. Her quest to understand a loved one expresses the need of every child and every parent to know and to be remembered. If the past is a foreign country, Van Der Meer shows us that with empathy and imagination we can enter that land as more than mere tourists." - Steven Manners, author of Ondine's Curse and Valley of Fire. "A mesmerizing journey through occupied wartime Netherlands; the voices emerging from the pages are haunting: replete with powerful emotions and modernity." - Isabelle Laflèche, author of J'adore New York and J'adore Paris. If you would like to request a copy to review for a publication or blog or to examine as course material, please click here to fill out a form with your contact information. To purchase a copy for personal use, please visit your favourite bookstore or online bookseller. The book can also be purchased directly from the publishers' website. One profound change that will definitely happen in our little group in the coming year is the stepping down of Michael Farry from his position as Editor of Boyne Berries, a position he has held since its foundation. Michael has brought great honour and prestige to the group through Boyne Berries, which has published more than its fair share of the crop of upcoming writers of our generation – I’m thinking here, for example, of Niamh Boyce who was published in an issue of Boyne Berries several years ago, who came to the launch of that issue and read here in this hotel, and who is now the author of a novel which has caused quite a stir in Irish literary circles over the past year. And I’m sure Michael himself could list off at least a dozen other writers who deserve mention in this same context. Michael, we thank you for your dedication and hard work on the first 15 issues of Boyne Berries. You will be sorely missed. However, it is great and wonderful that there is someone in our group, Orla Fay, who is willing to take over from Michael – someone, I suspect (and hope) who also has a strong voice allied with the courage to carry forward the torch – or maybe more aptly the little spark, the little glow – of literary delight, enchantment and satisfaction that Boyne Berries has become, thanks to its first Editor. Orla, the best of luck – and we’re all available to give you whatever help and encouragement you need. I’d like to thank the officers and committee for their support during the year, especially for their willingness to step in and act as chairman at our ordinary meetings. Owing to my continuing health problems especially in the first half of last year – and also due to my involvement in the Swift Satire Festival in Trim and the fact that I spent 2 months in Australia last Spring – I was not as available for Boyne Writers Group meetings as I would like to have been. Thanks to Michael Farry for his work as Secretary and to Caroline Carey Finn for her work as vice-chairperson and to Barbara Flood for her work as Treasurer. And to the people who organise our Website and Facebook Page (Michael and Orla). 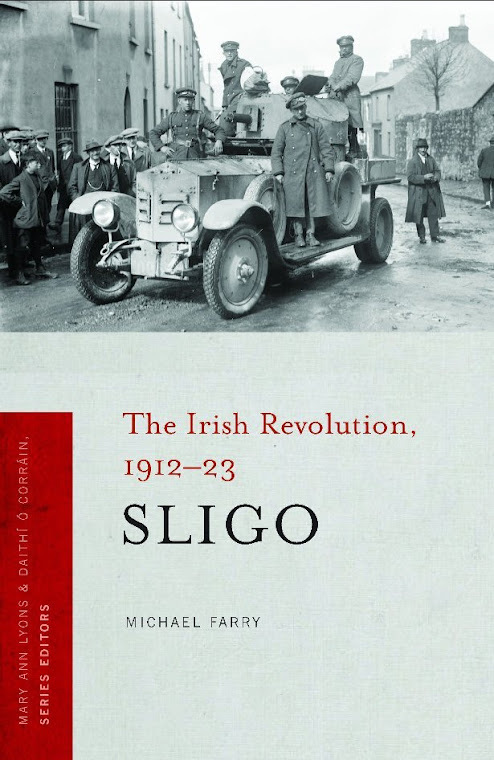 Congratulations to the Boyne Writers Group winning team in the Battle of the Books (47-41): Caroline Carey Finn, Paul Kerr and Michael Farry – especially to our captain Michael Farry whose own material and performance was, to my mind, the best ever in the history of this contest. Best wishes for a Happy New Year to all our members, present and past. This year many of you will be relieved that I’m not going to talk about the falling standards in grammar or spelling or punctuation. I’m not going to talk about how outrageous it is that writers’ groups don’t appear to concern themselves with these matters. I’m not going to talk about how it’s teachers, and not just pupils, who are getting worse and worse at grammar. I’m not going to talk about the ridiculously low standard of English writing among university students and graduates. I’m not even going to mention the fact that it may not matter a damn that these standards are falling because we seem to be able to communicate with each other in spite of this. I’m not going to blame texting for the fall in these standards because that would be too simplistic – although I can see the day coming when the semi-colon and colon will be dropped from the standard keyboard of mobile phones and computers. This won’t mean the end of civilisation as we know it, but it will make the world a poorer place. I am going to speak about how wonderful you people are, how you come along to meetings and help to create the feelgood factor that I experience (and I’m sure you experience too) on being with other writers (even if most of them are poets!). I want to thank you all for exerting influence over me and, by fostering an environment of critical encouragement, allowing me to develop further in my writing skills. I’m mightily impressed with the range of approaches we take to writing, everything from novels to memoir, plays to poems, and all things in between. But I would urge our members to try something different during this coming year, as a means of further development of one’s writing skills. And I don’t mean that, say, the novelists should try their hand at poetry and vice versa – though maybe that’s not a bad idea – but that people who thrive on angst and torment should have a go at jolly, jovial and cheery material for a change, and vice versa. I’m a big fan of Joe Duffy on RTE Radio 1 but every now and again I just turn him off because there’s only so much distress and suffering I can take. On the other side of the coin, I listen to Derek Mooney an odd time and I turn him off occasionally too because there’s only so much hearty enthusiasm I can manage at one sitting. Back to our little group. Where are the poems about potholes on our roads or about what it’s like to be a member of the first human settlement on Mars or about the slow pace of funding for the arts in this country? (That latter issue, I’m convinced, is at the core of the recent controversy over Limerick City of Culture.) Where is the material that deals with the taking over of the world by accountants? Or where’s the stuff that’s a lively commentary on RTE television programmes? Or that’s against Women Bishops! Depression and melancholy are not enough in our writing; we must be contrary too! When was the last time I gasped in excitement, or horror, at something that somebody read at our fortnightly meetings? Or giggled with a tinge of nervousness at the daring of another piece? Have we become a little comfortable in what we do? And I needn’t turn to Boyne Berries for relief! If it’s not a catalogue of mere misery, it’s wallowing in floral language about colourful autumns and sunsets or bathing in nostalgia about ancestors. Maybe when our new Editor takes over Boyne Berries it will undergo a fundamental change! Interesting times ahead, I hope! Okay, I’m being deliberately provocative in some of my material here, but I do like a little bit of excitement, a thrill, some intellectual stimulation, in my life. And where else would I come to get it (legally!) but at a gathering of writers? I’m frequently disappointed by the results of my search so far! The AGM of Boyne Writers Group was held on Thursday 9 January 2014 in the Castle Arch Hotel, Trim. The secretary presented the annual report for 2013 and detailed the activities in what was a very busy and successful year. The fortnightly meetings in the Castle Arch Hotel, Trim, were well attended and enjoyed. A committee meeting was held on 29 August which discussed the future of Boyne Berries in the wake of editor Michael Farry’s decision to step down, the possible reactivation of The Boyne Readings and participation in All-Ireland Poetry Day on Thursday 3 October 2013. Two issues of Boyne Berries, 13 and 14, were published during 2013 and both launches were well attended, writers travelling form many parts of the country to reads their pieces. 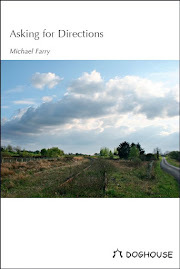 Boyne Berries 13 was launched on 21 March by Frank Murphy of the Meath Writers Circle. A framed copy of Tom French’s poem in memory of Tommy Murray, which was included in the issue, was presented to the Murray family. Boyne Berries 14 was launched on 26 September by Kate Dempsey, guest editor for the issue. Kate spoke about the experience of editing anonymously. Our chairperson presented Kate with a framed print of Greg Hastings' cover image. We are very grateful to all those who continue to submit material to the magazine, to our guest editor Kate Dempsey, to our cover artist Greg Hastings, and to the printers, ePrint, Blanchardstown. The Path of Progress by Tom Dredge, the fourth in our series of Boyne Chapbooks, was launched in the Castle Arch Hotel, Trim on Thursday 21 November. The event included an Open Mic and the evening ended with tea, coffee and biscuits. The group marked All-Ireland Poetry Day, 3 October with a tribute to the poets of Meath entitled, Our Most Lovely Meath. At 12 noon we visited Laracor Graveyard where F.R. Higgins is buried. Richard Haworth kindly invited us into his home where we read from the recently published Selected Poems of F.R. Higgins. A relative of the poet, Christopher Gray of Higginsbrook House, attended and read. See video on YouTube. At 1pm we read some poems by Jonathan Swift and others in St. Patrick’s Cathedral, Trim. At 4pm we were the guests of the Ledwidge Museum, Slane where we were shown around and read some of Francis Ledwidge’s poetry. 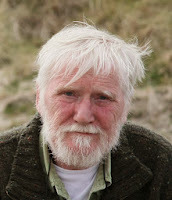 Finally at 5pm at the O’Reilly Memorial Dowth, we read some poems by John Boyle O’Reilly. Boyne Writers Group scored a well-deserved victory in the fifth staging of the Battle of the Books satire competition which took place on the first night of the Swift Satire Festival in Trim. Our team of Caroline Carey Finn, Paul Kerr and Michael Farry defeated the Meath Writers Circle team. Congratulations and thanks to our members who took part and to those who supported the team. Members of the group took part in the Poetry in Motion outdoor poetry readings and the public reading of Gulliver’s Travels. Two members also took part in the Swift Satire Festival Poetry in Motion readings at the Temple Bar Tradfest on 26 January. Group members, Paddy Smith and Michael Farry, were invited to read poetry at the Noel French-organised Gathering of people from the United States, Britain and Australia who were investigating their Meath ancestry in the autumn. Boyne Writers Group continues to lead a weekly poetry reading for the residents of Knightsbridge Retirement Village each Wednesday. This has proven a great success with many residents taking part by reading their own favourite poetry. The secretary listed and congratulated members who had work published in newspapers, magazines, online and broadcast, and those who were prizewinners or commended in competitions. He ended by thanking the Castle Arch Hotel who accommodate us in the lounge every second Thursday night and host our launches and the local press, Focus and The Meath Chronicle, who published notices and reports of our various functions. He especially commended the members who continue to make each meeting a special occasion. He urged them to continue to write, to have the courage to share their writing with the rest of the members and to put up with the keen criticism which is a hallmark of the group. Is your New Year resolution to get that novel, memoir, poetry collection, three act play or whatever started/finished? Below is a list of Listowel Writers’ Week 2014 workshops which may help. Each three-day Workshop will run from 9.00am – 12.30pm on Thursday 29th May, Friday 30th May and Saturday 31st May, 2014. Bookings are now being taken: Go to the Festival Workshop Page. 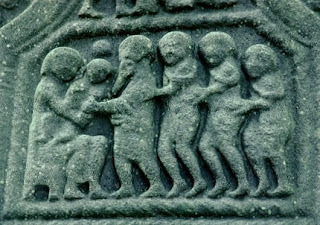 The Adoration of the Magi from the east face, Muirdeach's High Cross, Monasterboice, Co. Louth. Of ice and silver swans. Daffodils lit a thousand tapers. A dawn lark broke their dream. The chalice of the sun spilled over. They rode between burnished hills. Compelled the feet of harvesters. A glim on their darkling road. The star! It was their star. Children brought apples to the horses. By the carved stones of the dead. Here they unload their treasures. from 'Following a Lark' 1996 and 'The Collected Poems' 2005. See twelve textile pieces created by students of accomplished textile artist and teacher Pat Archibald, using this poem as inspiration on this page. The poem is also included on the CD Wolcum Yule: Celtic and British Songs and Carols by the vocal group Anonymous 4. The poem’s musical setting was composed by Sir Peter Maxwell Davies. The Fish Short Memoir Competition, with a prize of €1,000, closes on 31 January 2014. Dermot Healy, who was a judge for the first Fish Short Story Prize in 1994, and has been an Honorary Patron ever since, will select the ten memoirs for inclusion in the 2014 Fish Anthology. He is the author of the memoir, The Bend for Home, five books of poetry, eight plays, a collection of short stories and four novels. The Fish Short Memoir Prize is a chance to get your memoir published in the 2014 Fish Anthology to be launched during the West Cork Literary Festival, in July 2014. Fish will publish the ten best short memoirs as chosen by Dermot Healy. Full details on the website. The results will be published on 10 April 2014, the Anthology published in July 2014. Max length: 4,000 words. Submission Fee: €16 for the first, €10 thereafter. Submissions must not have been published previously, and must be eligible for publication in the Fish Anthology. If you would like to refine your Memoir writing skills, you might like to take advantage of their Memoir Writing Course. Another New Year! They seem to go by so fast. I remember consciously making the effort to write 1957 not 1956 in my school copybook one January long ago. 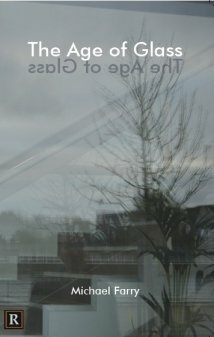 Some good New Year poems on the Poets.org and Poetry Foundation sites. I like the Robert Service one, The Passing of the Year, on the former and the To the Garbage Collectors in Bloomington, Indiana, the First Pickup of the New Year by Philip Appleman on the latter. Our bins were collected this New Year's Day morning too.